Before knowing how Yoga helps to get rid of stress, it’s important to know what exactly Yoga is. Yoga is an ancient and sacred practice that benefits a person in all aspects of existence.Yoga is a group of ancient spiritual practices, which originated in India. Yoga connects to religious beliefs and practices of various religions in India. Outside India, yoga is the practice of asana or postures of Hatha yoga or a form of exercise. All the Hindu texts such as the Bhagavad-Gita, the Hatha Yoga Pradipika, the Shiva Samhita, the Upanishads and the Yoga Sutras of Patanjali, mention different aspects of yoga. Major branches of yoga include Bhakti yoga, Hatha yoga, Jnana yoga, Karma yoga and Raja yoga. Yoga Sutras of Patanjali established Raja yoga. It is yoga in Hindu philosophy. It is one of the six orthodox (astika) schools of thought.Not many people know that Yoga can also be a good home remedy for stress. A person who suffers experiences stress from time to time can get rid of it simply by following some yoga asanas that help to get rid of stress. 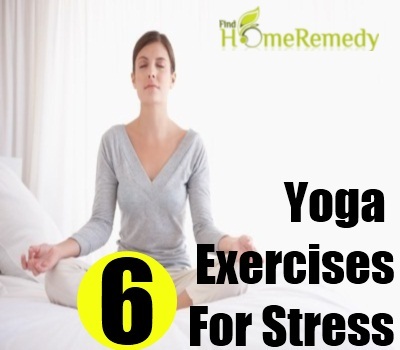 We are going to take a look at some of these yoga postures that will help you to get rid of stress almost instantly. This is one of the best yoga exercises that can help a person to combat stress. 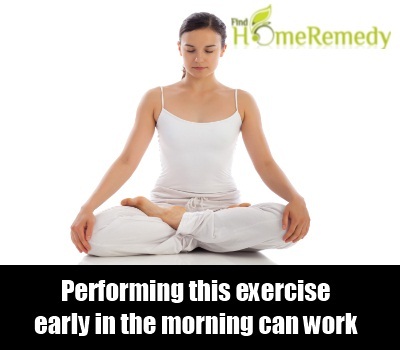 Performing this exercise early in the morning can work a lot of wonders in keeping stress away from an individual. To practice this exercise, the person has to sit in Indian style close one nostril and breath with the other and inhale with the other nostril. Repeat the same step with the other nostril and do this for at least ten to fifteen minutes. This is yoga pose that guarantees complete relief from stress. To practice this pose, you just need to lie on your back on the floor and free your arms and legs by spreading them across your body. Take some deep breathes as you look above and try to relax by closing your eyes. Do this whenever you are stressed out and need some instant relaxation. 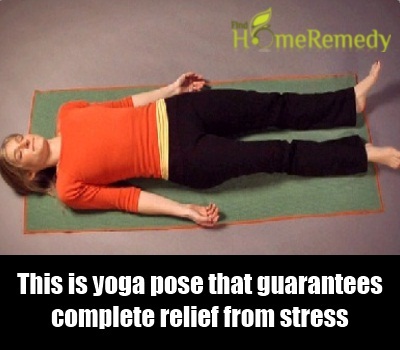 This is another best yoga pose that can help you to get rid of stress almost instantly. To practice this yoga exercise all you have to do is lie down on your back and raise your legs upwards in the air. Once your legs reach the maximum height, hold your hips with both of your hands and raise your back. Hold this position for few minutes. This will lead to an increase of blood circulation in the head and groin and will make you feel rejuvenated thereby keeping you away from stress. This is another best yoga pose for stress. To practice this yoga pose, you need to lie down on your back and rest your arms besides your body. Slowly raise your back upwards in the air with your arms still resting on the floor. Keeping your head on the floor, raise your body by putting some pressure on the legs. The idea is to stand on the feet with your head touching on floor. 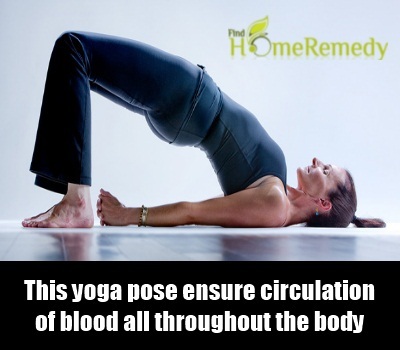 This yoga pose ensure proper circulation of blood all throughout the body which in turn helps to provide energy to all the vital organs of the body. This adds instant vigor to your body and you feel rejuvenated and get rid of stress almost instantly. This is one of the best yoga poses that you can use to get rid of your stress. To practice this yoga pose, you need to stand on your head. To get started lie down on your across a wall and raise your feet in the air in such a way that they are placed on the wall in a straight direction and are placed on the wall. Hold on to this position for a few minutes and breathe deeply. 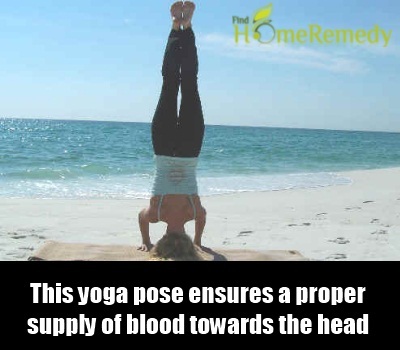 This yoga pose ensures a proper supply of blood towards the head and calms the entire body. This in turn helps you to reduce the stress. 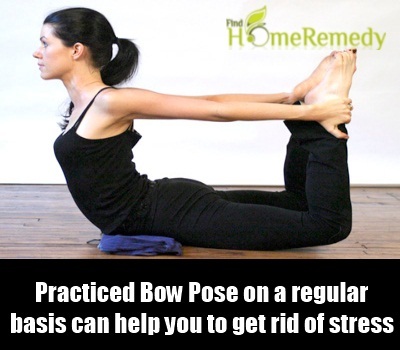 One of the best ways to get rid of stress is to practice the bow pose. To practice this bow pose you need to first lie on your back and place your hands on the floor in such a way that they lie behind your hand with your elbows pointing in the upward direction. Once you get the grip of your hands bring your legs closer to your hips and bend them on the knees. Once you get into this position, raise your back in such a way that your head is above the ground and you rest on your hands and legs. Slowly tilt your head in the downward direction. This yoga pose not only helps you to get rid of stress but also nourishes your spine and corrects your posture. It is also the best yoga exercise for back pain. These were some of the best yoga exercises which when practiced on a regular basis can help you to get rid of stress almost instantly. Remember, you need to practice these yoga exercises daily especially if you want to reap their benefits. Apart from following these yoga exercises, it is also important for you to follow a health diet and give up the habit of smoking, Smoking cigarettes leads to a lot of stress and affects your nervous system. Thus, it is essential for you to give up the habit of smoking as soon as possible if you really want to get rid of stress. Also, focus on eating all the right things and stay away from outside or junk food. This is mainly because; it is the main reason behind people falling prey to lots of disorders which ultimately adds to stress. This entry was posted in Featured, Yoga Treatments.